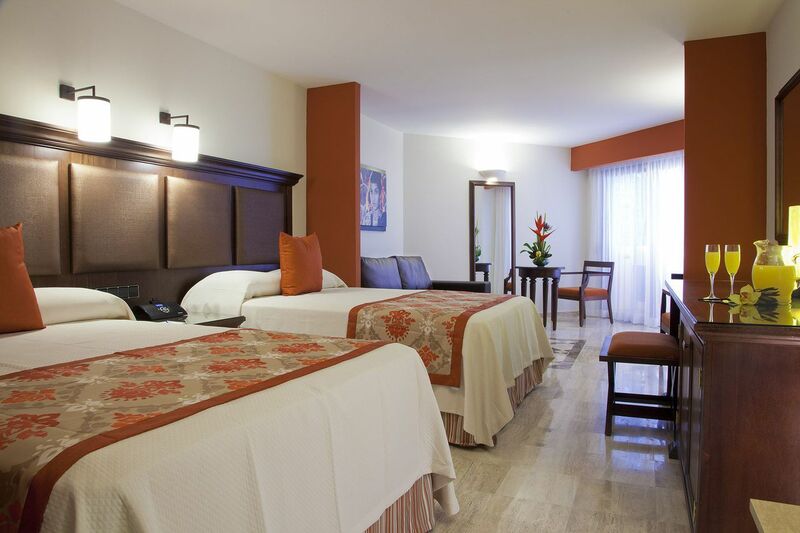 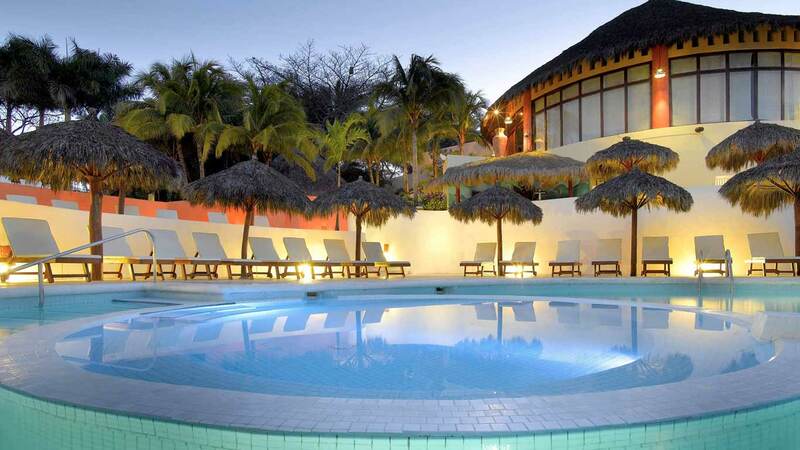 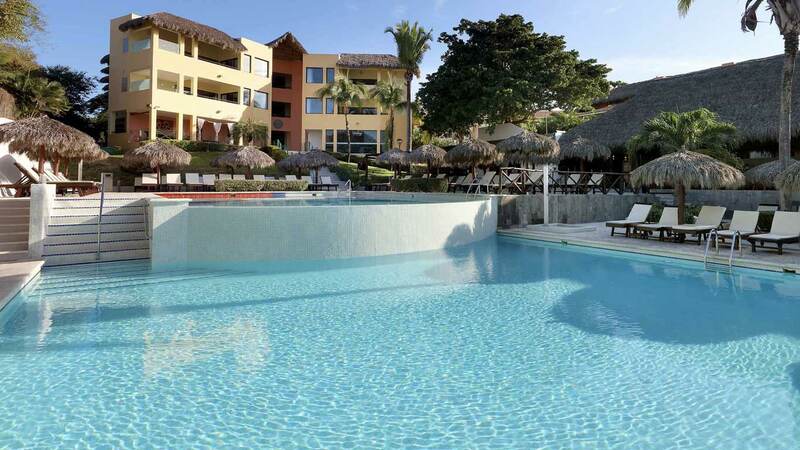 All 420 rooms at Grand Palladium Vallarta Resort & Spa are well appointed and include balcony or terrace. 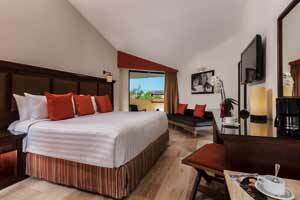 Ocean-view rooms and junior suites are also available. 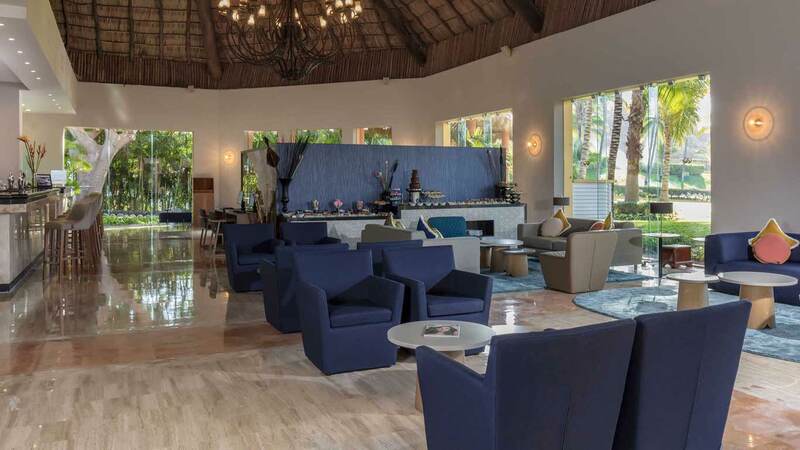 Adults will discover the ultimate in luxury in a Royal Suite (adults only 18+) with 24-hour concierge and room service, private pool with Bali beds and waiter service, exclusive bars with premium beverages, and Punta Mita Restaurant, as well as full access to all areas of the Grand Palladium Resort. 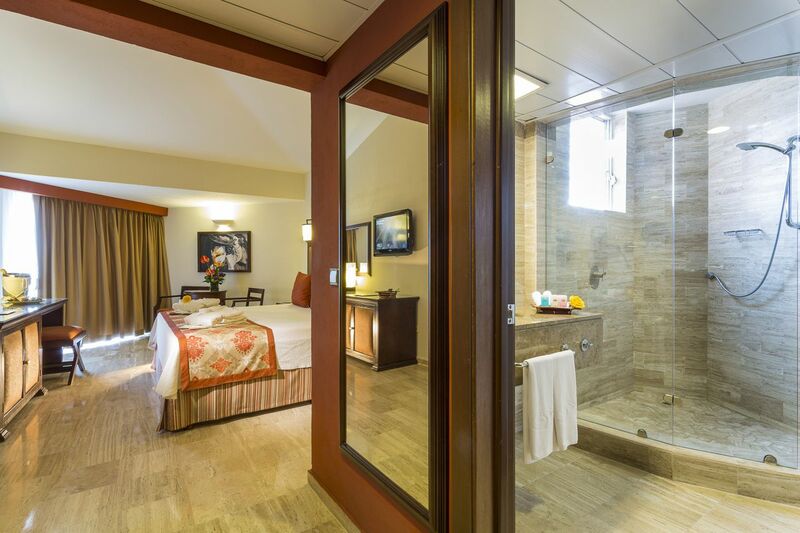 Experience privacy and personalized service from your Royal Suite with a Jacuzzi, surrounded by lush tropical gardens in front of a private golden sand beach. 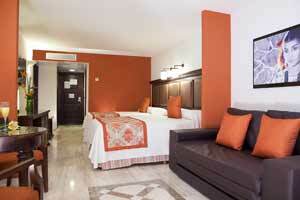 Room with king sized bed or two full-size beds, sofa bed, balcony and also with energy saving system. 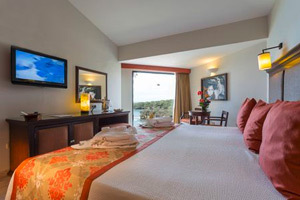 All have a hydromassage bath, pillow menu (extra charge), aromatherapy menu and body oils (extra charge), radio alarm and MP3 player dock and support for connection for MP3 player.